CITY OF BUCKHANNON » Happy Retirement, Dave Roby! 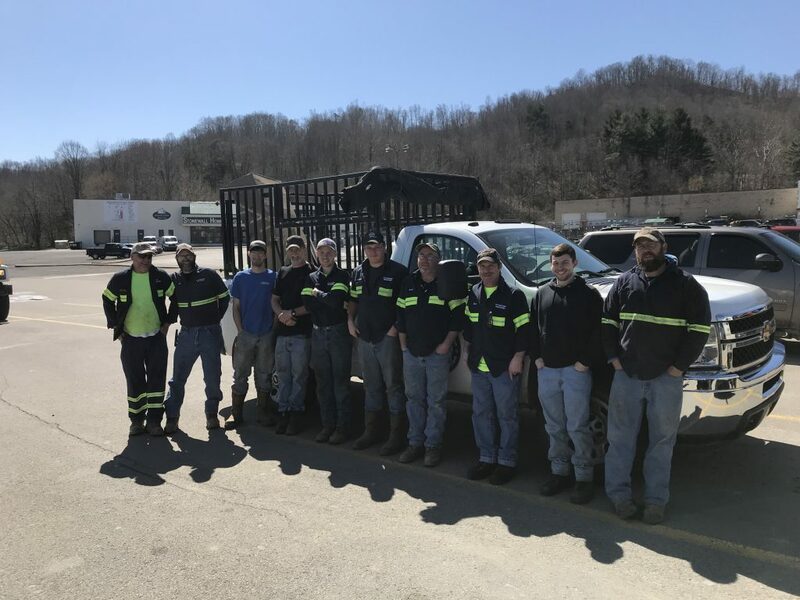 Kenny Alexander, Jeff Wamsley, Ty Leichliter, Paul Leichliter, Dakota Arnold, Nathaniel Bailey, Brian Williams, Davy Roby, Dalton Austin, and Brad Cutright pause for a photo after enjoying lunch together to celebrate Roby’s retirement. BUCKHANNON: Today, Dave Roby will leave work and not need to return on Monday morning. Tomorrow is Dave’s birthday and also marks the beginning of his well-earned retirement after twenty years of service with the City of Buckhannon Waste Department. Roby began working with the Waste Department in 2001 and has been a dedicated worker and member of the crew ever since. Dave plans to enjoy his retirement spending time outdoors on his favorite glider at his home in Abbott with his wife, Sue, and cats. We wish you the best, Dave! Thank you for your hard work and dedication.